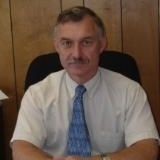 David is the owner of the firm and has been practicing public accounting since 1976. He is a graduate of Bloomsburg University and is a current member of the Pennsylvania Institute of Certified Public Accountants, Pennsylvania Society of Public Accountants and the National Society of Accountants. David also does various speaking engagements and has taught night courses at a local community college. He is on the Upper Bucks Chamber of Commerce legislative committee.